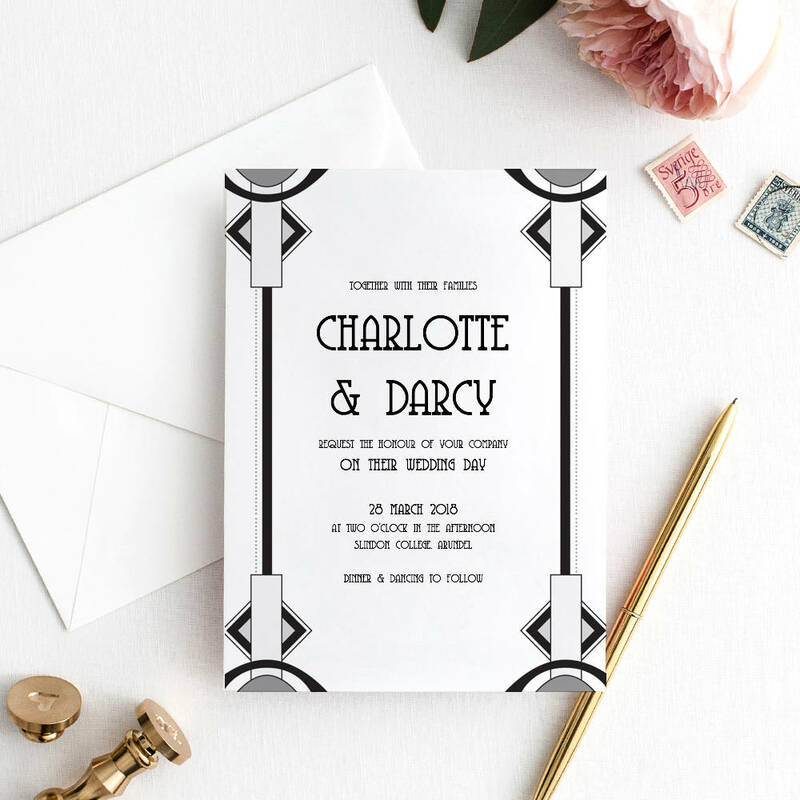 Art Deco style wedding invitation template, Gatsby. 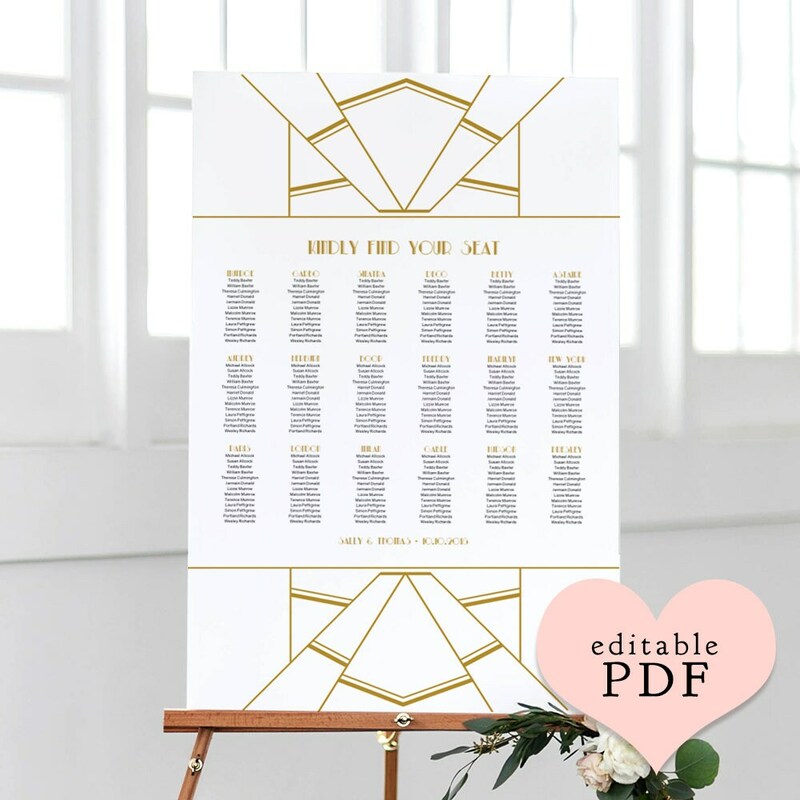 Printable templates for creating your own beautiful wedding invitations. Easy to follow instructions, if needed. 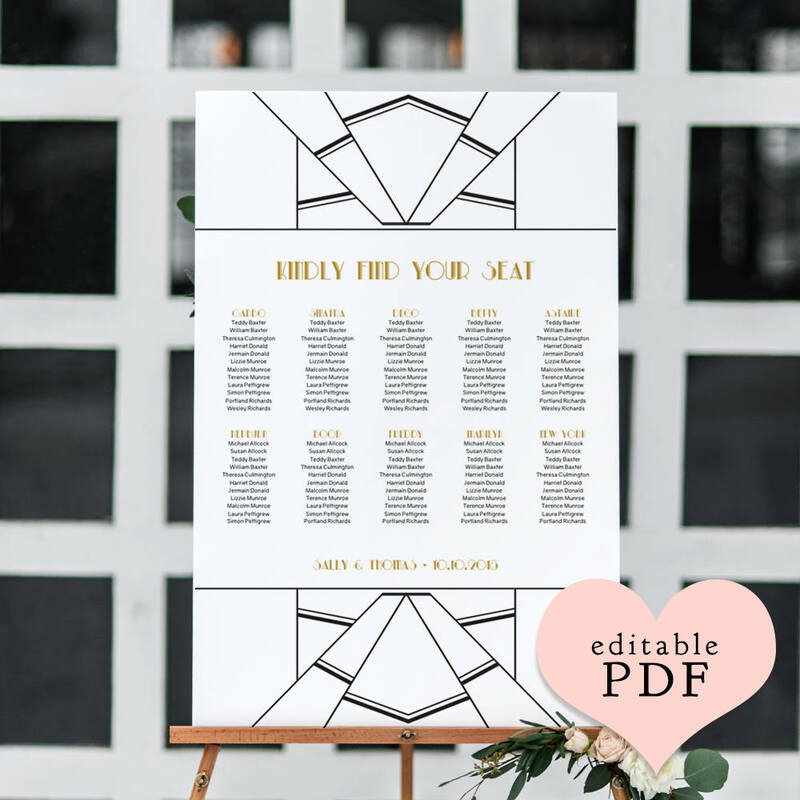 *This listing is for the wedding invitation templates - Microsoft Word template to edit in Word or Pages. Instant download. For other items, see the listings below. Text – you can write your own, move it around and change the colours. 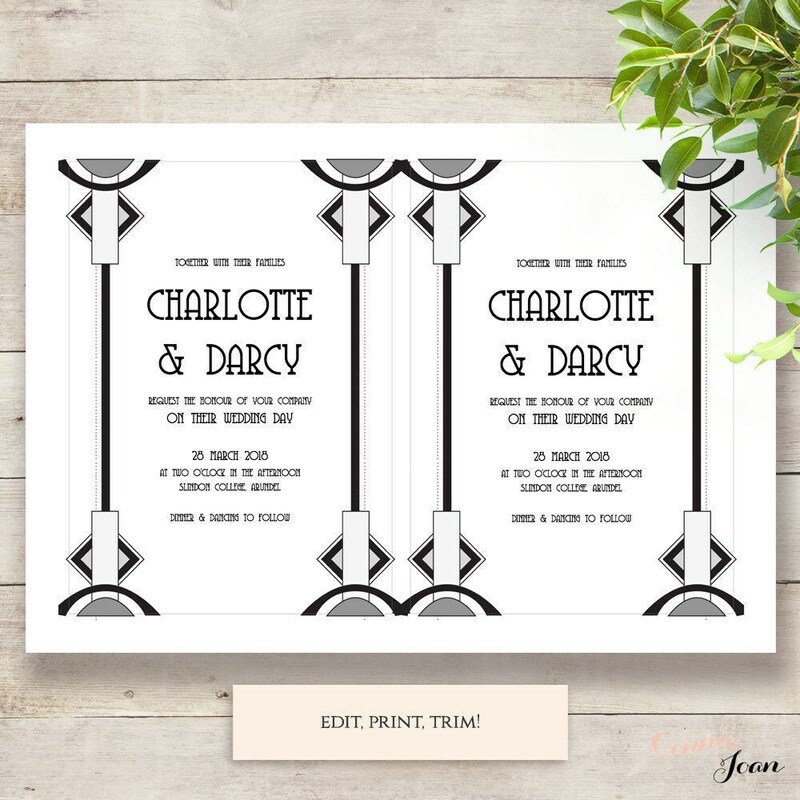 In the instructions, I include links to the free fonts - and I detail how to download and install them, ready for use.